4150201 HD20-1 KOMATSU HD20-1 Dump Truck HD. Spare Parts Catalog. Service (workshop) Manual. Operator's Instruction Manual. 4150202 HD25-1 KOMATSU HD25-1 Dump Truck HD. Spare Parts Catalog. Service (workshop) Manual. Operator's Instruction Manual. 4150203 HD180-4 KOMATSU HD180-4 Dump Truck HD. Spare Parts Catalog. Service (workshop) Manual. Operator's Instruction Manual. 4150204 HD200-2 KOMATSU HD200-2 Dump Truck HD. Spare Parts Catalog. Service (workshop) Manual. Operator's Instruction Manual. 4150205 HD200D-3 KOMATSU HD200D-3 Dump Truck HD. Spare Parts Catalog. Service (workshop) Manual. Operator's Instruction Manual. 4150206 HD205-3 KOMATSU HD205-3 Dump Truck HD. Spare Parts Catalog. Service (workshop) Manual. Operator's Instruction Manual. 4150207 HD255-5 KOMATSU HD255-5 Dump Truck HD. Spare Parts Catalog. Service (workshop) Manual. Operator's Instruction Manual. 4150208 HD255-5E0 KOMATSU HD255-5E0 Dump Truck HD. Spare Parts Catalog. Service (workshop) Manual. Operator's Instruction Manual. 4150209 HD285TN-5A KOMATSU HD285TN-5A Dump Truck HD. Spare Parts Catalog. Service (workshop) Manual. Operator's Instruction Manual. 4150210 HD285TN-5B KOMATSU HD285TN-5B Dump Truck HD. Spare Parts Catalog. Service (workshop) Manual. Operator's Instruction Manual. 4150211 HD300-2 KOMATSU HD300-2 Dump Truck HD. Spare Parts Catalog. Service (workshop) Manual. Operator's Instruction Manual. 4150212 HD320-3 KOMATSU HD320-3 Dump Truck HD. Spare Parts Catalog. Service (workshop) Manual. Operator's Instruction Manual. 4150213 HD325 KOMATSU HD325 Dump Truck HD. Spare Parts Catalog. Service (workshop) Manual. Operator's Instruction Manual. 4150214 HD325-2 KOMATSU HD325-2 Dump Truck HD. Spare Parts Catalog. Service (workshop) Manual. Operator's Instruction Manual. 4150215 HD325-3 KOMATSU HD325-3 Dump Truck HD. Spare Parts Catalog. Service (workshop) Manual. Operator's Instruction Manual. 4150216 HD325-5 KOMATSU HD325-5 Dump Truck HD. Spare Parts Catalog. Service (workshop) Manual. Operator's Instruction Manual. 4150217 HD325-6 KOMATSU HD325-6 Dump Truck HD. Spare Parts Catalog. Service (workshop) Manual. Operator's Instruction Manual. 4150218 HD325-6W KOMATSU HD325-6W Dump Truck HD. Spare Parts Catalog. Service (workshop) Manual. Operator's Instruction Manual. 4150219 HD325-7 KOMATSU HD325-7 Dump Truck HD. Spare Parts Catalog. Service (workshop) Manual. Operator's Instruction Manual. 4150220 HD325-7R KOMATSU HD325-7R Dump Truck HD. Spare Parts Catalog. Service (workshop) Manual. Operator's Instruction Manual. 4150221 HD405 KOMATSU HD405 Dump Truck HD. Spare Parts Catalog. Service (workshop) Manual. Operator's Instruction Manual. 4150222 HD405-6 KOMATSU HD405-6 Dump Truck HD. Spare Parts Catalog. Service (workshop) Manual. Operator's Instruction Manual. 4150223 HD405-7 KOMATSU HD405-7 Dump Truck HD. Spare Parts Catalog. Service (workshop) Manual. Operator's Instruction Manual. 4150224 HD405-7R KOMATSU HD405-7R Dump Truck HD. Spare Parts Catalog. Service (workshop) Manual. Operator's Instruction Manual. 4150225 HD460-1 KOMATSU HD460-1 Dump Truck HD. Spare Parts Catalog. Service (workshop) Manual. Operator's Instruction Manual. 4150226 HD465-2 KOMATSU HD465-2 Dump Truck HD. Spare Parts Catalog. Service (workshop) Manual. Operator's Instruction Manual. 4150227 HD465-3 KOMATSU HD465-3 Dump Truck HD. Spare Parts Catalog. Service (workshop) Manual. Operator's Instruction Manual. 4150228 HD465-5 KOMATSU HD465-5 Dump Truck HD. Spare Parts Catalog. Service (workshop) Manual. Operator's Instruction Manual. 4150229 HD465-7 KOMATSU HD465-7 Dump Truck HD. Spare Parts Catalog. Service (workshop) Manual. Operator's Instruction Manual. 4150230 HD465-7E0 KOMATSU HD465-7E0 Dump Truck HD. Spare Parts Catalog. Service (workshop) Manual. Operator's Instruction Manual. 4150231 HD465-7R KOMATSU HD465-7R Dump Truck HD. Spare Parts Catalog. Service (workshop) Manual. Operator's Instruction Manual. 4150232 HD605-5 KOMATSU HD605-5 Dump Truck HD. Spare Parts Catalog. Service (workshop) Manual. Operator's Instruction Manual. 4150233 HD605-7 KOMATSU HD605-7 Dump Truck HD. Spare Parts Catalog. Service (workshop) Manual. Operator's Instruction Manual. 4150234 HD605-7E0 KOMATSU HD605-7E0 Dump Truck HD. Spare Parts Catalog. Service (workshop) Manual. Operator's Instruction Manual. 4150235 HD605-7R KOMATSU HD605-7R Dump Truck HD. Spare Parts Catalog. Service (workshop) Manual. Operator's Instruction Manual. 4150236 HD680-2 KOMATSU HD680-2 Dump Truck HD. Spare Parts Catalog. Service (workshop) Manual. Operator's Instruction Manual. 4150237 HD780-1 KOMATSU HD780-1 Dump Truck HD. Spare Parts Catalog. Service (workshop) Manual. Operator's Instruction Manual. 4150238 HD785-1 KOMATSU HD785-1 Dump Truck HD. Spare Parts Catalog. Service (workshop) Manual. Operator's Instruction Manual. 4150239 HD785-1L KOMATSU HD785-1L Dump Truck HD. Spare Parts Catalog. Service (workshop) Manual. Operator's Instruction Manual. 4150240 HD785-2 KOMATSU HD785-2 Dump Truck HD. Spare Parts Catalog. Service (workshop) Manual. Operator's Instruction Manual. 4150241 HD785-3 KOMATSU HD785-3 Dump Truck HD. Spare Parts Catalog. Service (workshop) Manual. Operator's Instruction Manual. 4150242 HD785-5 KOMATSU HD785-5 Dump Truck HD. Spare Parts Catalog. Service (workshop) Manual. Operator's Instruction Manual. 4150243 HD785-5LC KOMATSU HD785-5LC Dump Truck HD. Spare Parts Catalog. Service (workshop) Manual. Operator's Instruction Manual. 4150244 HD785-7 KOMATSU HD785-7 Dump Truck HD. Spare Parts Catalog. Service (workshop) Manual. Operator's Instruction Manual. 4150245 HD985-3 KOMATSU HD985-3 Dump Truck HD. Spare Parts Catalog. Service (workshop) Manual. Operator's Instruction Manual. 4150246 HD985-5 KOMATSU HD985-5 Dump Truck HD. Spare Parts Catalog. Service (workshop) Manual. Operator's Instruction Manual. 4150247 HD1200 KOMATSU HD1200 Dump Truck HD. Spare Parts Catalog. Service (workshop) Manual. Operator's Instruction Manual. 4150248 HD1200-1 KOMATSU HD1200-1 Dump Truck HD. Spare Parts Catalog. Service (workshop) Manual. Operator's Instruction Manual. 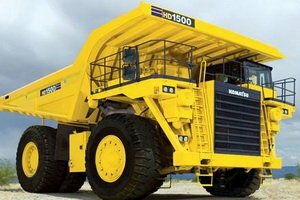 4150249 HD1200M-1 KOMATSU HD1200M-1 Dump Truck HD. Spare Parts Catalog. Service (workshop) Manual. Operator's Instruction Manual. 4150250 HD1400B-3 KOMATSU HD1400B-3 Dump Truck HD. Spare Parts Catalog. Service (workshop) Manual. Operator's Instruction Manual. 4150251 HD1500-5 KOMATSU HD1500-5 Dump Truck HD. Spare Parts Catalog. Service (workshop) Manual. Operator's Instruction Manual. 4150252 HD1500-7 KOMATSU HD1500-7 Dump Truck HD. Spare Parts Catalog. Service (workshop) Manual. Operator's Instruction Manual. 4150253 HD1600M-1 KOMATSU HD1600M-1 Dump Truck HD. Spare Parts Catalog. Service (workshop) Manual. Operator's Instruction Manual. 4150255 445E KOMATSU 445E Dump Truck. Spare Parts Catalog. Service (workshop) Manual. Operator's Instruction Manual. 4150256 510E KOMATSU 510E Dump Truck. Spare Parts Catalog. Service (workshop) Manual. Operator's Instruction Manual. 4150257 685E KOMATSU 685E Dump Truck. Spare Parts Catalog. Service (workshop) Manual. Operator's Instruction Manual. 4150258 730E KOMATSU 730E Dump Truck. Spare Parts Catalog. Service (workshop) Manual. Operator's Instruction Manual. 4150259 830E KOMATSU 830E Dump Truck. Spare Parts Catalog. Service (workshop) Manual. Operator's Instruction Manual. 4150260 830E-1 KOMATSU 830E-1 Dump Truck. Spare Parts Catalog. Service (workshop) Manual. Operator's Instruction Manual. 4150261 830E-AC KOMATSU 830E-AC Dump Truck. Spare Parts Catalog. Service (workshop) Manual. Operator's Instruction Manual. 4150262 830E-1AC KOMATSU 830E-1AC Dump Truck. Spare Parts Catalog. Service (workshop) Manual. Operator's Instruction Manual. 4150263 850B KOMATSU 850B Dump Truck. Spare Parts Catalog. Service (workshop) Manual. Operator's Instruction Manual. 4150264 850C KOMATSU 850C Dump Truck. Spare Parts Catalog. Service (workshop) Manual. Operator's Instruction Manual. 4150265 860E-1 KOMATSU 860E-1 Dump Truck. Spare Parts Catalog. Service (workshop) Manual. Operator's Instruction Manual. 4150266 860E-1KT KOMATSU 860E-1KT Dump Truck. Spare Parts Catalog. Service (workshop) Manual. Operator's Instruction Manual. 4150267 930E KOMATSU 930E Dump Truck. Spare Parts Catalog. Service (workshop) Manual. Operator's Instruction Manual. 4150268 930E-1 KOMATSU 930E-1 Dump Truck. Spare Parts Catalog. Service (workshop) Manual. Operator's Instruction Manual. 4150269 930E-2 KOMATSU 930E-2 Dump Truck. Spare Parts Catalog. Service (workshop) Manual. Operator's Instruction Manual. 4150270 930E-2SE KOMATSU 930E-2SE Dump Truck. Spare Parts Catalog. Service (workshop) Manual. Operator's Instruction Manual. 4150271 930E-3 KOMATSU 930E-3 Dump Truck. Spare Parts Catalog. Service (workshop) Manual. Operator's Instruction Manual. 4150272 930E-3SE KOMATSU 930E-3SE Dump Truck. Spare Parts Catalog. Service (workshop) Manual. Operator's Instruction Manual. 4150273 930E-4 KOMATSU 930E-4 Dump Truck. Spare Parts Catalog. Service (workshop) Manual. Operator's Instruction Manual. 4150274 930E-4SE KOMATSU 930E-4SE Dump Truck. Spare Parts Catalog. Service (workshop) Manual. Operator's Instruction Manual. 4150275 960E-1 KOMATSU 960E-1 Dump Truck. Spare Parts Catalog. Service (workshop) Manual. Operator's Instruction Manual. 4150276 960E-2 KOMATSU 960E-2 Dump Truck. Spare Parts Catalog. Service (workshop) Manual. Operator's Instruction Manual. 4150278 HS100S-10 KOMATSU HS100S-10 Slag dump truck. Spare Parts Catalog. Service (workshop) Manual. Operator's Instruction Manual. 4150279 HS150S-10 KOMATSU HS150S-10 Slag dump truck. Spare Parts Catalog. Service (workshop) Manual. Operator's Instruction Manual. 4150280 HS150S-11 KOMATSU HS150S-11 Slag dump truck. Spare Parts Catalog. Service (workshop) Manual. Operator's Instruction Manual. 4150281 HS600S-2 KOMATSU HS600S-2 Slag dump truck. Spare Parts Catalog. Service (workshop) Manual. Operator's Instruction Manual.